No significant difference was found in all-cause mortality for patients with peripheral artery disease treated with paclitaxel drug-coated balloons vs percutaneous transluminal angioplasty. 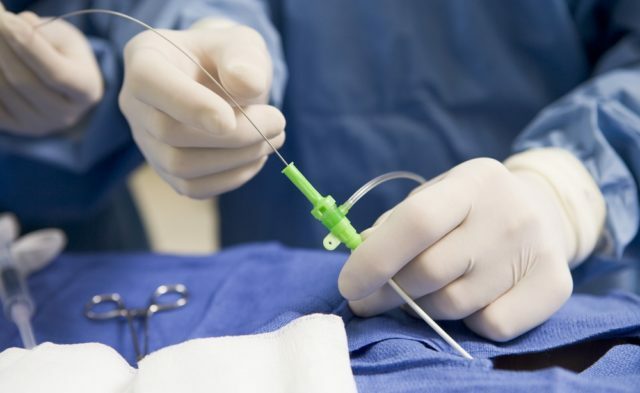 Paclitaxel drug-coated balloons (DCBs) are safe and are not associated with an increase in mortality when used to treat femoropopliteal peripheral artery disease, particularly when compared with uncoated percutaneous transluminal angioplasty (PTA), according to independent patient-level meta-analysis results published in the Journal of the American College Cardiology. An international team of researchers obtained data from a total of 4 prospective studies of DCB (n=1837) and uncoated PTA (n=143). The researchers analyzed correlations among baseline, procedure, and follow-up data with long-term mortality (≤5 years). A Clinical Events Committee independently adjudicated all major adverse events, deaths, target limb amputations, reinterventions, and target lesion thromboses that were recorded throughout each study follow-up. Through 5-year follow-up, no significant difference was observed between DCB and PTA in terms of all-cause mortality (9.3% vs 11.2%, respectively; P =.399). Causes of death included, but were not limited to, cardiac (2.7%), malignancy (1.3%), respiratory (0.7%), and neurologic (1.0%) factors. All causes of death were adjudicated and were considered not related to the device. In a survival analysis, the researchers stratified nominal paclitaxel doses by low (5019.0 μg), mild (10,007.5 μg), and upper (19,978.2 μg) terciles. No significant difference was found among the 3 terciles with regard to all-cause mortality through the longest follow-up (P =.700). Limitations of the analysis were the inclusion of data that lacked peer review and the small number of PTA control patients, the latter of whom may not represent the overall population who undergo PTA. “Data transparency and additional analyses are needed to better understand how other factors influence long-term outcomes in this complex patient population,” the researchers concluded.